Q: What is the difference E-Liquid & E-Juice? Q: What is a Flavor Booster? A: Flavor boosters are concentrated flavor used to make the e-liquid, essentially with the booster you can add up to 8% more flavor if poured into the whole 120ML bottle. Please note that doing so may make the flavor too strong for some so start off with a little then add more as needed. Q: What is a Sweet Booster? A: Like the super sweet taste in your e-liquids? Essentially, with the sweet booster you can pour into your 120ML bottle. Simply start off with a little then add more as needed into your 120ML bottle. Disclaimer: Use Sweet Booster at own discretion, not responsible for coil damage if used too much. Q: How long does it take for orders to be processed? A: Orders are shipped within 1 to 3 business days. Q: How to view tracking number? A: You may view your tracking number in your account or on the carriers website directly. A: No, We do not accept PayPal. In order to use your PayPal balance you would need to use your Master Card provided by PayPal. Q: What Nicotine Strength levels do you offer? A: We currently offer the following strength levels: 0mg, 1.5mg, 3mg, 6mg, 9mg, 12mg. Q: What bottle sizes do you offer for BV E-Liquids? Q: Are your bottles GCC compliant? A: Yes, Our bottles have child resistant caps. 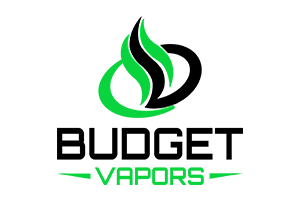 Q: Is Budget Vapors FDA compliant? A: Yes, Our company is registered & compliant with the FDA. Q: How come I don't receive emails?